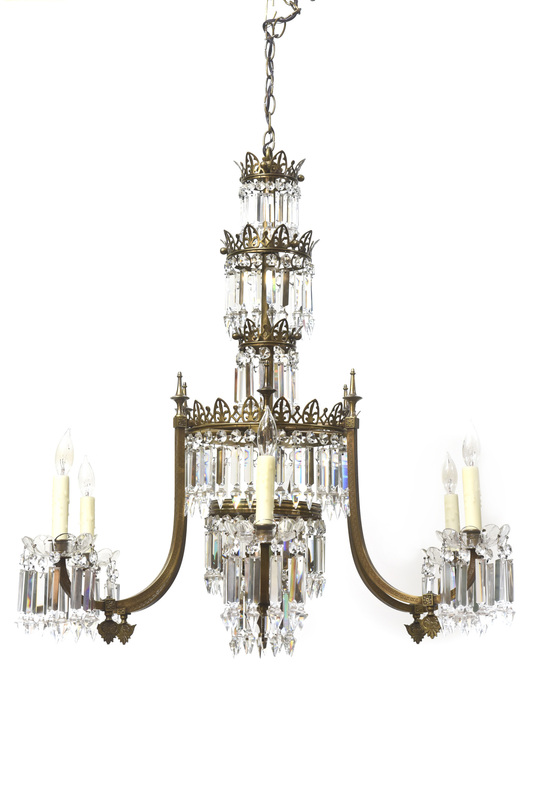 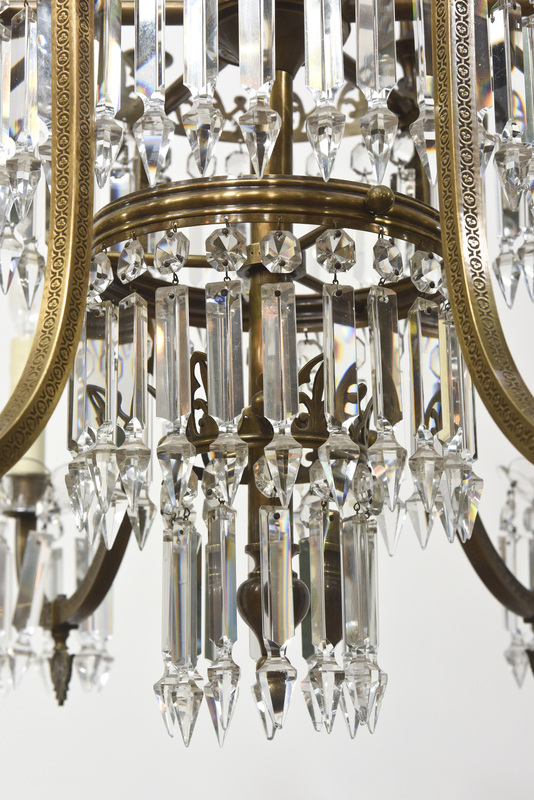 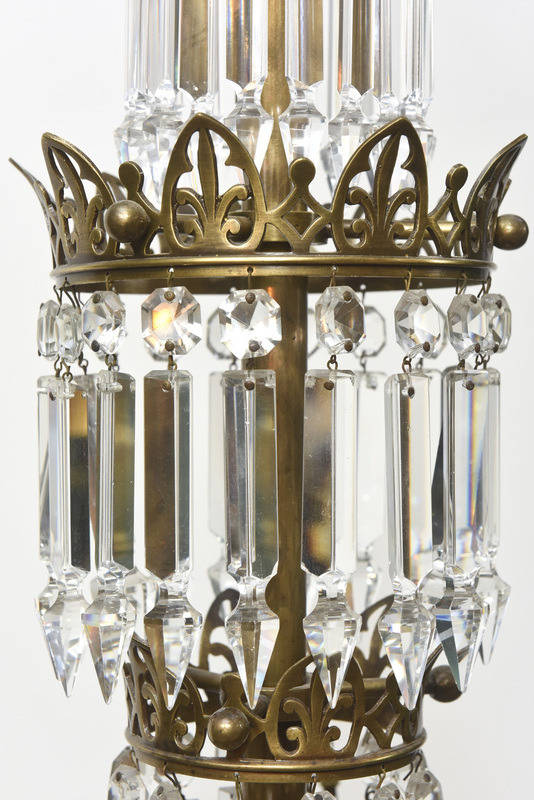 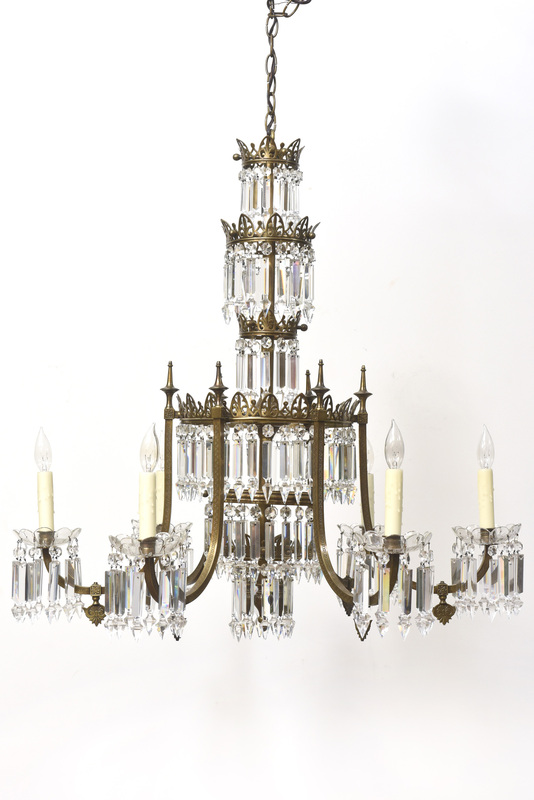 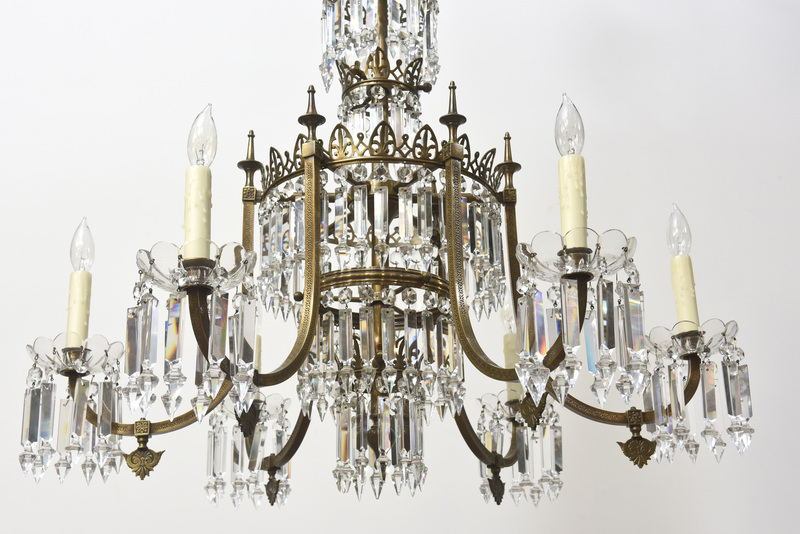 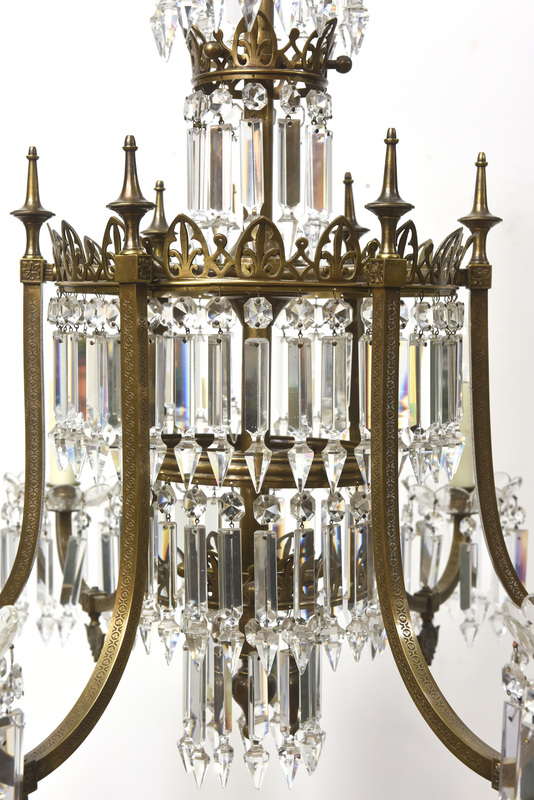 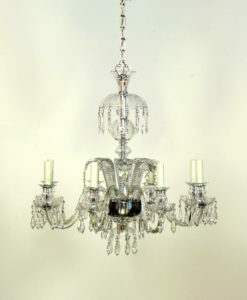 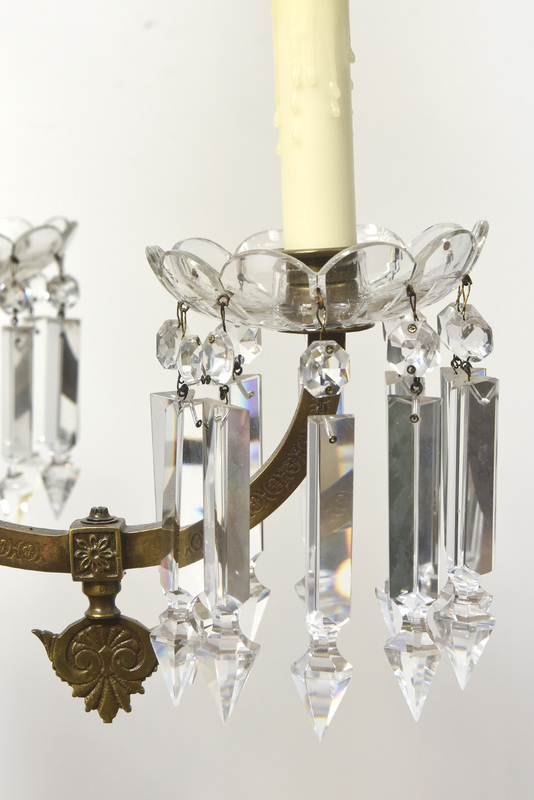 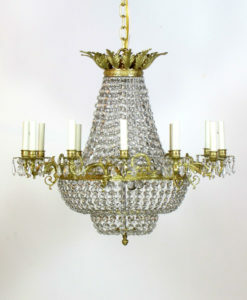 Pair of Six arm brass and crystal chandeliers. 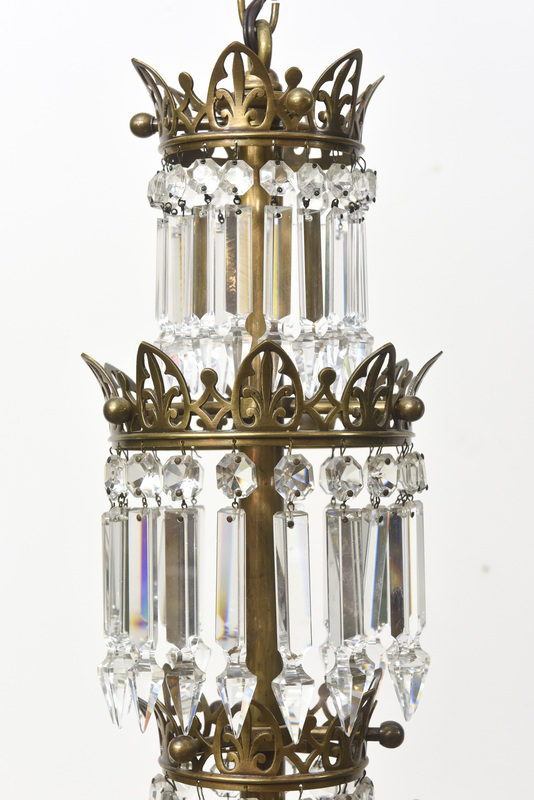 Six tiers of crystals around the central stem. 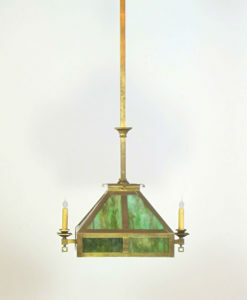 Square tubing on arms topped with urns. 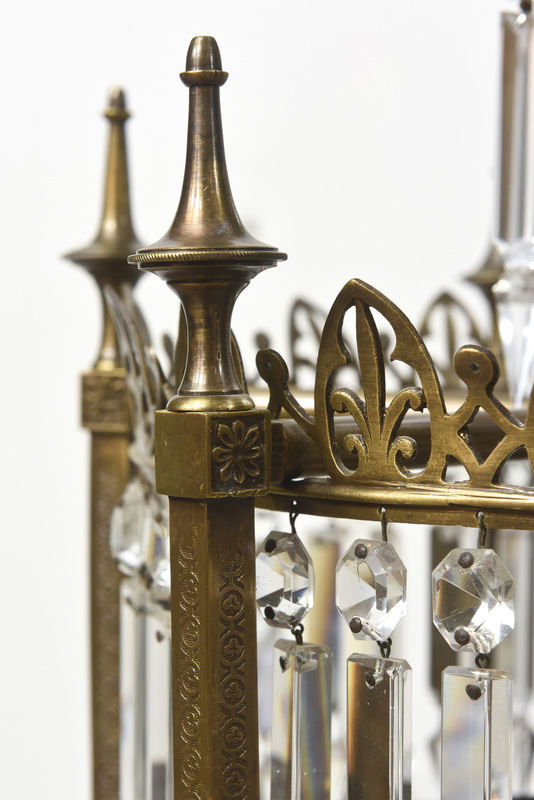 Crown details on each ring. 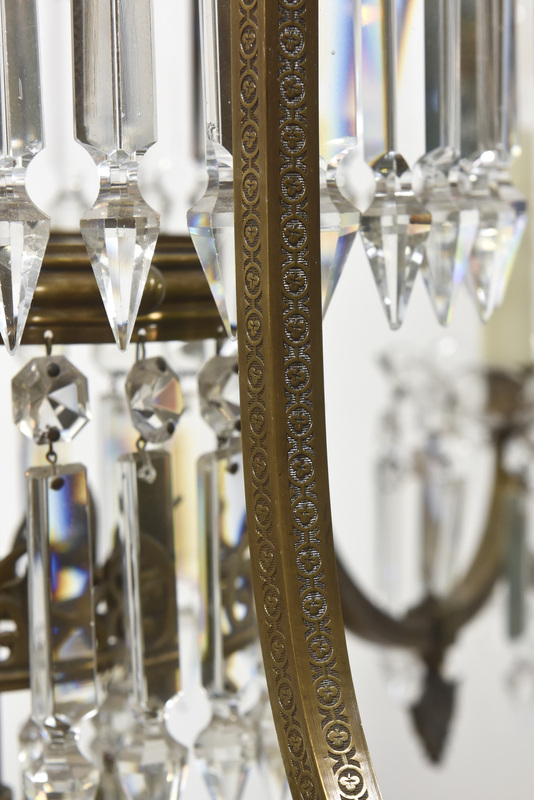 Original Chandeliers from a property on Lewisburg Square, Boston. 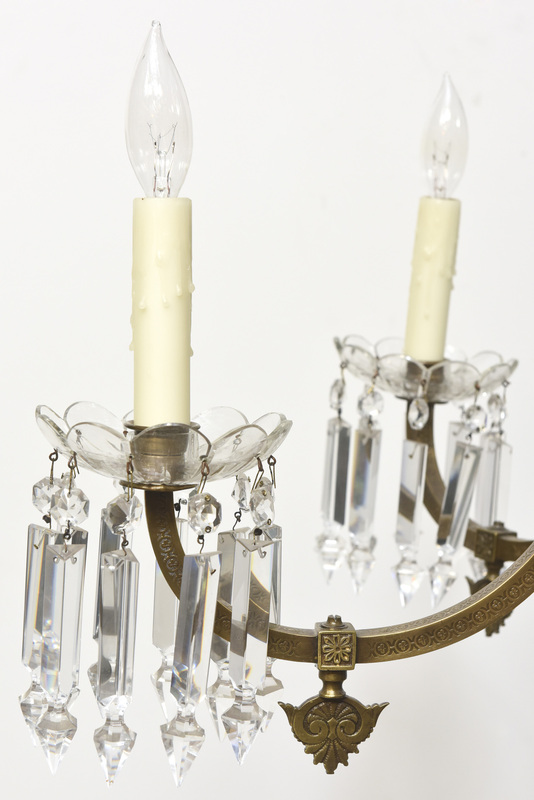 Originally Gas, completely restored and rewired, ready to hang. 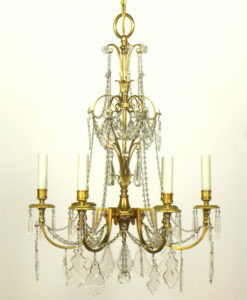 All Original except for one bobeche.